I am please to report the potholes I highlighted on Monday last have finally been fixed. It’s taken months of waiting for local residents, but for now, the holes have been filled in. 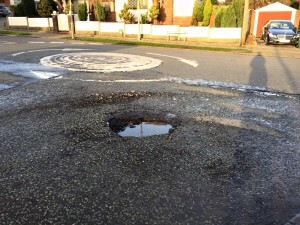 A bigger problem is the leak under Randale Drive at the junction with Millom Drive. 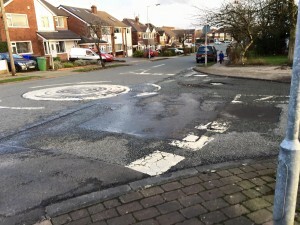 The biggest of the potholes was no doubt caused by this leak and despite reporting to United Utilities on a number of occasions, the leak continues. I have reported this again and will be taking this further should a resolution not be forthcoming. I fear the problem is a fractured pipe underneath the road which I imagine is going to require digging up of the entire junction, which could represent a real headache for those that live on Randale Drive, Millom and nearby roads such as mine.